The eyes of the world are fixed on the Black Sea region, where political turmoil has engulfed Ukraine and led to the departure of its president and the incursion of Russian military forces into the Crimean region. To offer a wider historical and cultural perspective on the events unfolding, the Russian Area Studies Program is hosting a panel tonight at 8pm in the Clapp Library Lecture Room, entitled “Ukraine! What Next?” The panel, which will also be live streamed, is organized and moderated by Nina Tumarkin, professor of history and director of the Russian Area Studies Program. Tumarkin is a Russianist who studies the legacy of its past history on contemporary Russia, and the ways in which the Kremlin, and Vladimir Putin in particular, understand and promote it. She emphasizes that Ukraine has played an overwhelmingly important role in Russian history and identity. “In some ways Russian history proper started in Ukraine. I teach a course on Medieval Russia, and [in the class we study how] Kiev was the capital of the first state that existed on Russian territory. In a great celebration of statehood (which is very important to Putin) in 2012, the Kremlin commemorated 1150 years of Russian statehood because in 862 AD a Viking chieftain arrived on the Russian territory and founded a dynasty. It started the Kievan empire… The early days of Kiev were traditionally depicted as “a Golden Age in Russian history,” says Tumarkin. 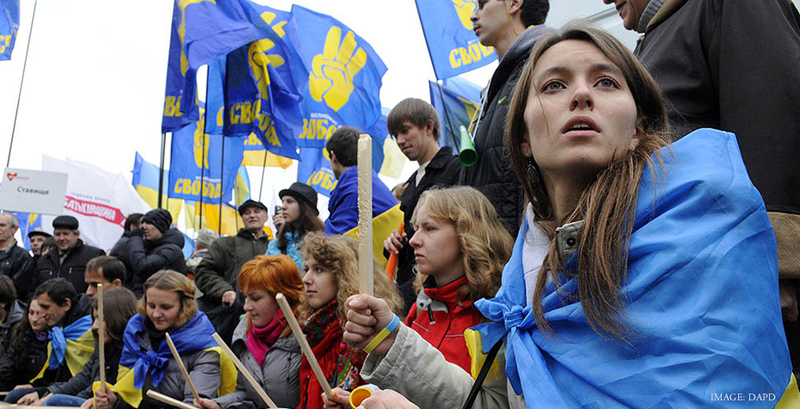 “It’s also a Golden Age in Ukrainian history, which makes things pretty complicated. But Ukraine has hardly any history as an independent polity. It was dominated by Lithuania and Poland, and then in 1654 eastern Ukraine was united with Muscovy [Russia].” In the nineteenth century, Ukraine became the Russian Empire’s ‘breadbasket’ or center of food production, while Crimea retained its strategic importance because of its access to the Black Sea. In 1954, Nikita Khrushchev honored the 300 year anniversary of Ukraine’s union with Russia by bestowing the Crimea upon Ukraine as a gift. To learn more, attend the panel tonight at 8pm in the Library Lecture Room or watch the live stream. Serhii Plohkii, Mykhailo S. Hrushevs'kyi Professor of Ukrainian History at Harvard, and the director of the Harvard Ukrainian Research Institute, as well as Nadiya Kravets, a postdoctoral fellow at the Harvard Ukrainian Research Institute and Davis Center for Russian and Eurasian Studies at Harvard, will be speaking.